It’s been a very busy couple of weeks as not only have I been dealing with all of the normal duties of a councillor, but both David Nagle and me have been inundated by people contacting us about the proposal that the new HS2 high speed railway line should come through Woodlesford. The news came as a bolt out of the blue both for residents and councillors – I found out about when I saw local people talking about it on Twitter and Facebook. Understandably some Woodlesford residents have been absolutely devastated to find out that their quiet, picturesque and peaceful canal side community will potentially be fundamentally changed with a viaduct to carry a high speed train. The news came as a shock to us all, but I’m also angry about the way it has been handled so far. As an elected councillor I’m shocked at the incompetence of the so called consultation as there has been no attempt by the government or HS2 Ltd to contact us directly, simply leaving us to find things out for ourselves and hindering our ability to help and support local residents. Neither have local residents been contacted directly. It shows a staggering contempt for the views and needs of local people and makes me question just how genuine the consultation actually is. I’d like to praise those residents who have already started to work together and I think that it is essential that myself and Councillor David Nagle, Rothwell’s two Labour councillors, and Liberal Democrat councillor Stewart Golton work together to support local people. All three of us attended the Woodlesford and Oulton Action Group meeting on Wednesday Tuesday which was packed with worried local people. David and me met Andrew Hall, from the Leeds City council transport department on Tuesday Monday for our first briefing on HS2 and despite the short notice I persuaded Andrew to come to the action group meeting the following evening. So far I haven’t heard anything directly from Alec Shelbrooke our local Elmet and Rothwell Tory MP. If we are to get the best result for local people then it’s important that local politicians put aside their political differences and work together. I am writing to HS2 Limited and Patrick McLoughlin, the Conservative secretary of state for transport, to ask that they come to Woodlesford to see and hear for themselves how local people will be effected. We’ve had far too little information about the consultation process and we especially need to know far more about proposals to provide compensation to those affected. One of my concerns is that people living just outside the 60m distance from the centre of the track will lose out. UPDATE: There is a Facebook group for SO WHAT (Swillington, Oulton and Woodlesford HS2 Action Group). This entry was posted in Elmet and Rothwell, HS2, Labour Party, Leeds City Council, Liberal Democrats, Oulton, Rothwell, Woodlesford and tagged Alec Shelbrooke MP, Elmet and Rothwell, HS2, Stewart Golton, Woodlesford by Karen Bruce. Bookmark the permalink. Surely it was better for the route to be published online for everyone to see rather than drip feeding into councillors etc and it leaking and scare stories popping up all over the country? Did you not think to take a look at the website when it was announced it was running to Leeds? I certainly did as did the people i know on the South of Manchester. I am surprised you did not anticipate there was a strong possibility it would run through an area on the South of Leeds to get to the centre??? 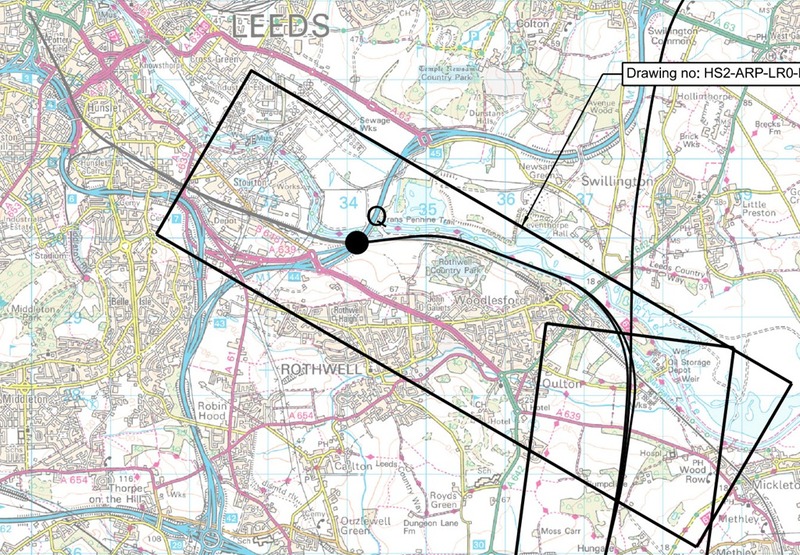 I have spoken to a few neighbours who like me believe the route through the valley is probably oneof the least disruptive ways to get this line into Leeds. It would have been good for your article to mention some of the positives of HS2? I presume you will be making this case as a Leeds Councillor? Totally agree with everything already stated.There is also an issue which seems to have been overlooked,that is the construction of HS2 and access to the varying construction sites.There is limited access to certain areas,and that access will be used for heavy traffic to and from the site.So although the route does indeed go through Woodlesford,it will have a dramatic effect on the whole of Rothwell,especially to the South and East. You’re right Peter. A full environmental impact assessment of the entire project should have been done and considered before proposed route even hit the public website, etc.